Have you read my new Broken Melody book yet? So what is Broken Melody about? I decided to try something new with this book, different from my Dark Harbour books, that is. 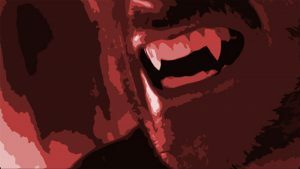 I know vampires have been done to death, but I thought what the hell, and went ahead and sank my teeth into that genre (see what I did there?). I injected this with a lot of twisted and adult humour, so if you do decide to take on Broken Melody, please be advised you may need a strong stomach! 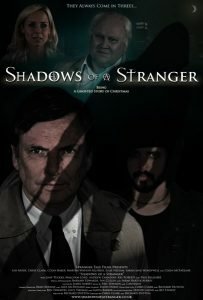 Another thing I did with this book was to set it in the same story world as my film Shadows of a Stranger, just for the hell of it. Although we’ve never planned a sequel for the film, we have made plans to ‘expand its universe’, something we talk about in the upcoming directors’ commentary, so this was one way of me doing that, to see more of the characters I’d created for the film medium albeit in cameo-sized roles. 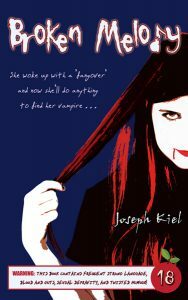 This book has a bunch of new characters (and vampires!) leading the narrative, winding their way through the streets and places that were conceived for the film. As ever with my stuff, the responses to Broken Melody have been quite the mixed bag. Although there’s only a couple of Amazon reviews so far, I seem to have bucked the trend in that the American audience has appreciated it more than the UK audience. The UK review complains of no coherent story, even though I aimed to get the story firmly going from the opening page on this one… You can never win! Maybe I caught them on a bad day, because the US review, on the other hand, says that it is a really good read. Another review, which was on a fellow author’s blog, says it’s a full-action book that is refreshingly British and that it’s “darkly funny, intriguing, and strangely emotional”. So far it has scored higher than my other novels on Goodreads. All in all I’m pretty pleased with how it’s going down. I’m looking forward to more responses appearing, even if they have seemed to have ground to a halt at the moment. So if you’re reading this and have already read the book, then please do leave some thoughts or a rating (a 5 star one, of course) on Amazon or Goodreads, no matter how brief. The book is available on Amazon in eBook and paperback form. I hope you enjoy it! This entry was posted in News and tagged book, broken melody, joseph kiel, meridian, novel, shadows of a stranger, vampire on March 15, 2018 by Richard Dutton.